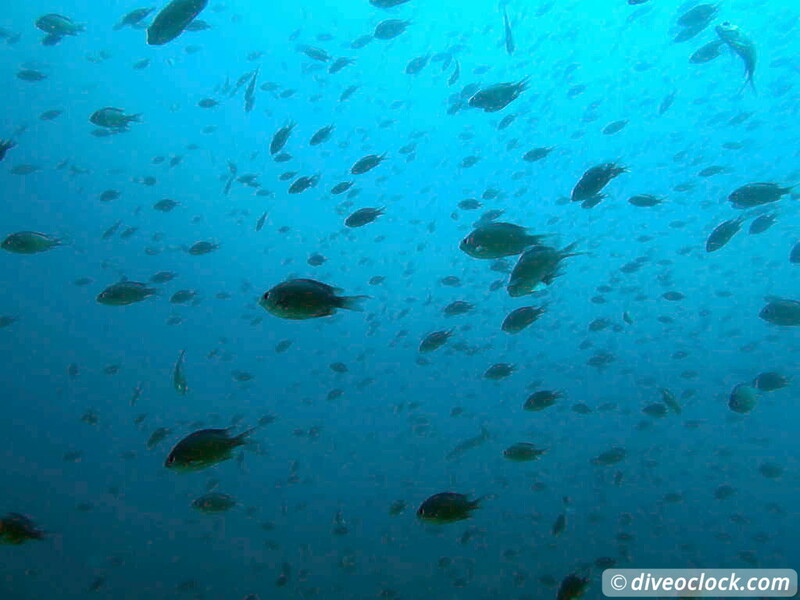 Koh Phi Phi - Awesome SCUBA Diving in The Andaman Sea (Thailand) - Dive o'clock! If you think Phi Phi is only about partying you are wrong. 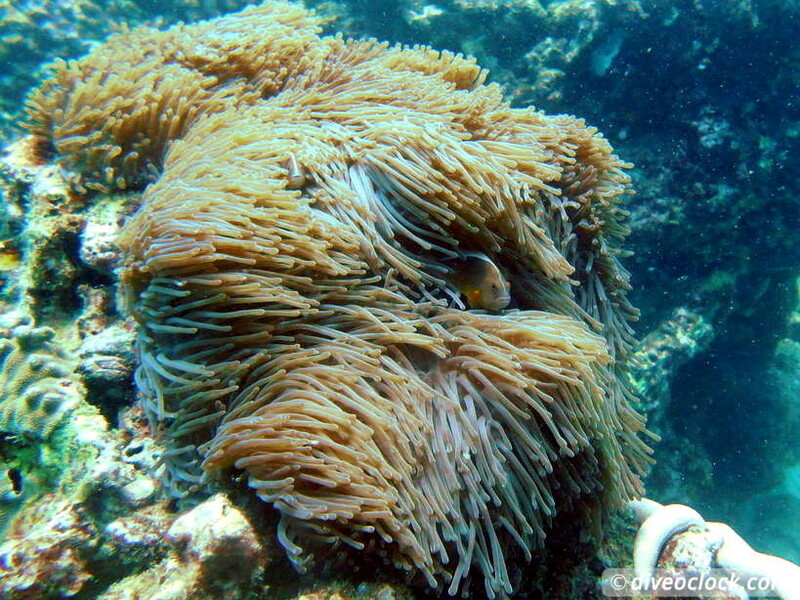 It is touristy and it can be packed with backpackers but nature is amazing, especially around Phi Phi Leh. Above and below you can find incredible rock formations with stunning cliffs that change in to an incredible seascape full of life. Koh Phi Phi is a very popular destination for backpackers and travelers and it has some incredible natural sights with Maya Beach being the most popular. 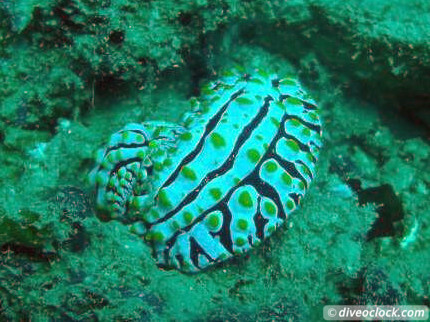 If you stay on Koh Phi Phi (Don) you will have a hard time NOT to find a dive shop offering trips. 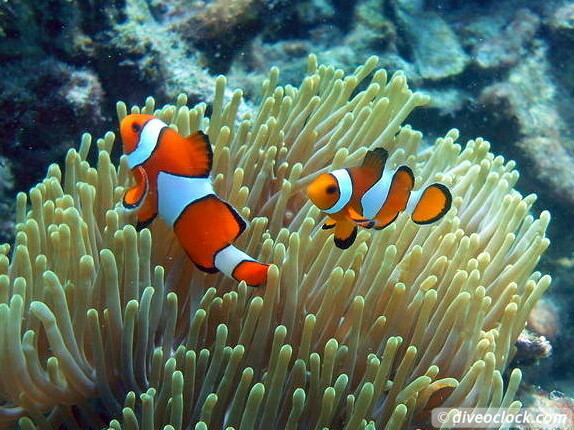 It is a popular activity and with all sorts of soft corals and even sharks it is a great spot in the Andaman Sea. 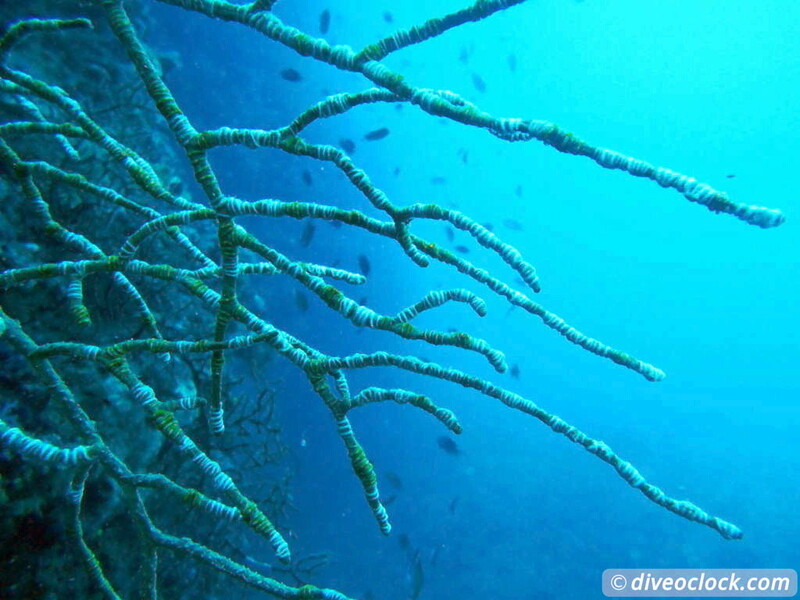 While staying on Koh Phi Phi I actually did not book a dive trip. 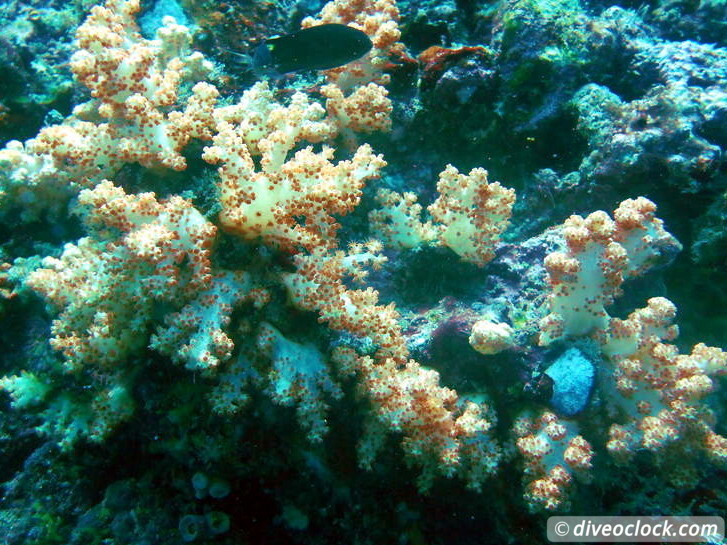 Basically because I did not realise how beautiful it is for experienced divers. Because of all the crowds walking around in town and introduction dives being sold I thought the reef was damaged by inproper buoyancy and so on. It was weeks later, when we organized a private speedboat trip from Phuket with a group of friends. Not the most economical and ecological regarding fuel but we got to be out a day on the water and by the time we arrived at Phi Phi all other operators were gone. We went with Sea Bees divers, who actually have a dive shop on Phi Phi as well, how ironic. 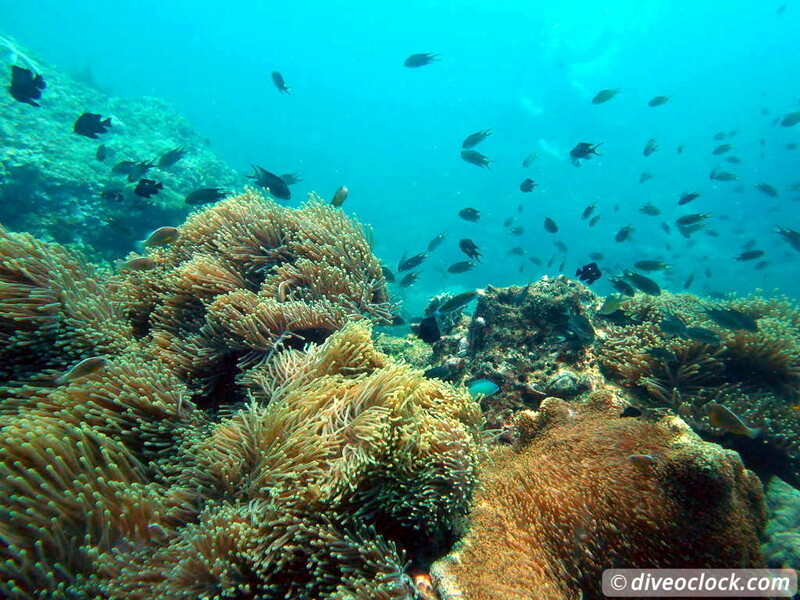 Famous for Rock formations with gorgonian fans, soft corals and black tip reef sharks. 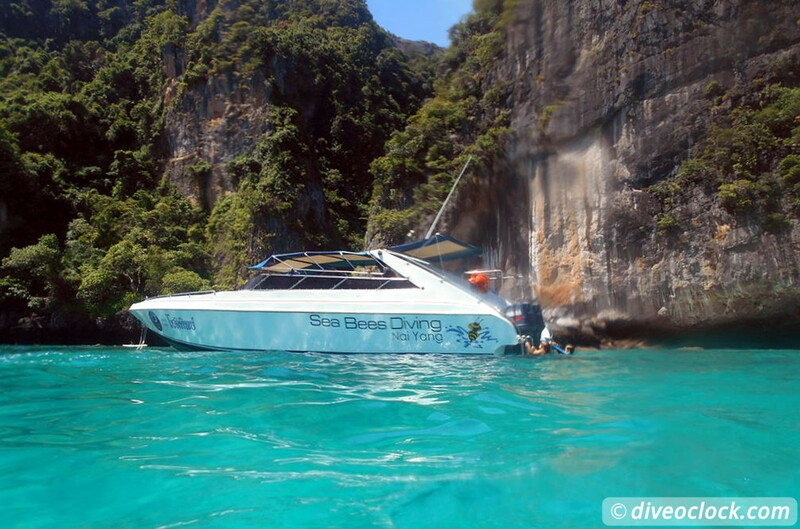 Price 3-tank guided boat dive to Phi Phi from Phuket is $135,- for a full day including hotel pick-up/drop-off, breakfast/lunch/fruit, coffee/tea/water, towel, tanks and weights. 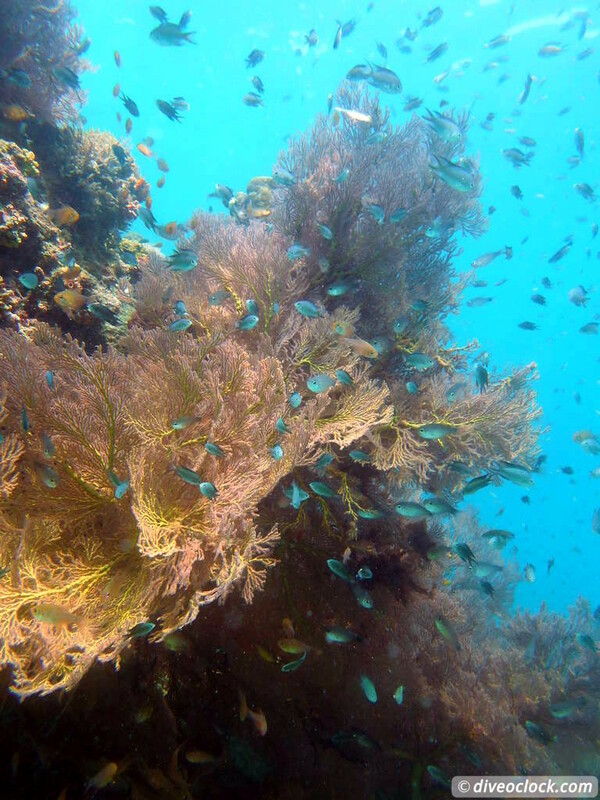 The first dive site was Koh Bida Nok, one of the little islands South of Phi Phi Leh. 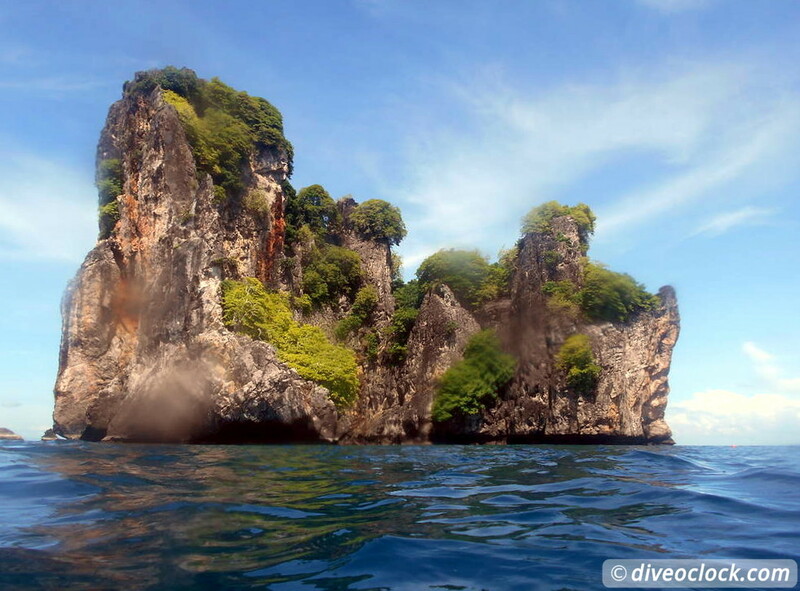 With the bottom at around 30 meters and the limestone cliffs continuing in steep underwater walls this is a really interesting dive site to explore. 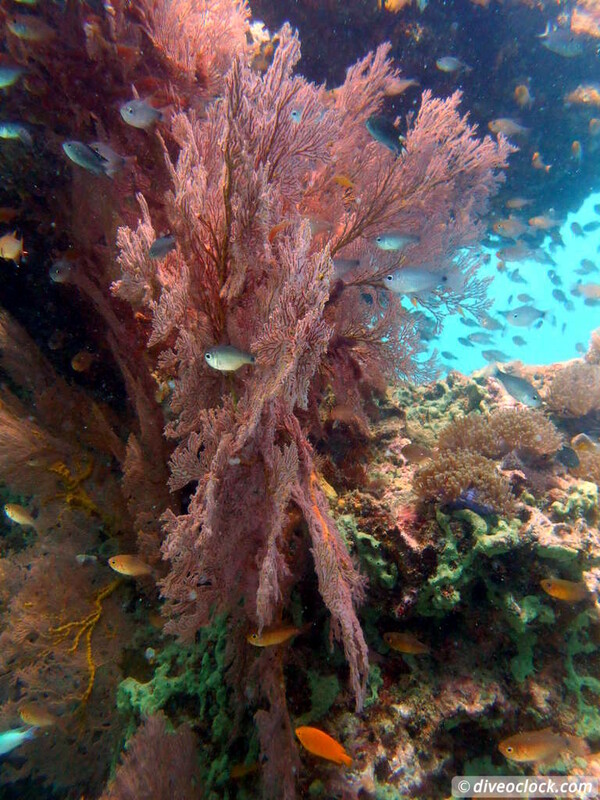 Loh Sama Bay is a dive site South-East of Phi Phi Ley. 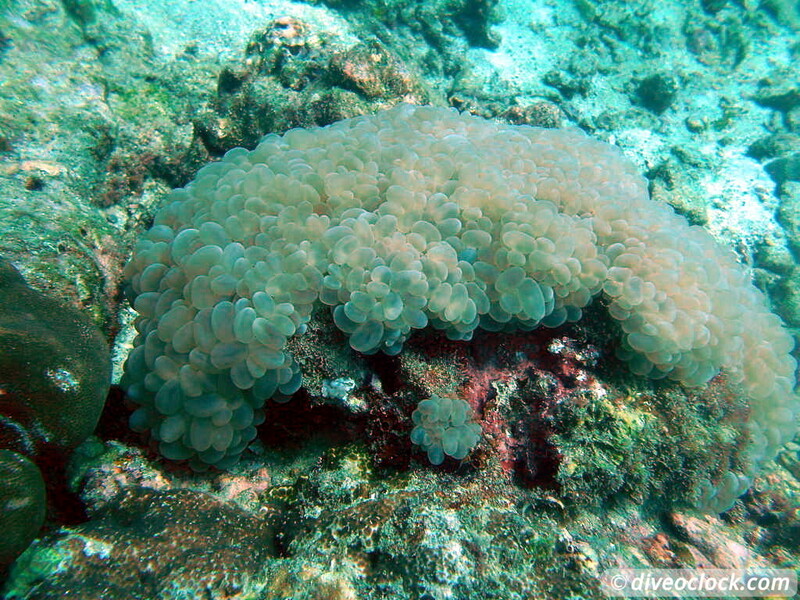 It offers a small island where you can dive around which takes about the whole dive. 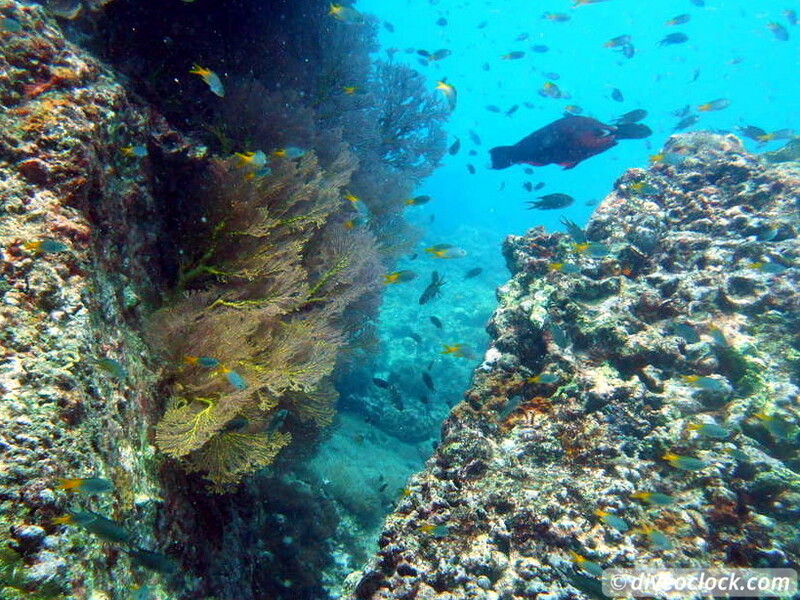 This is another beautiful dive site with countless fish and colorful corals. 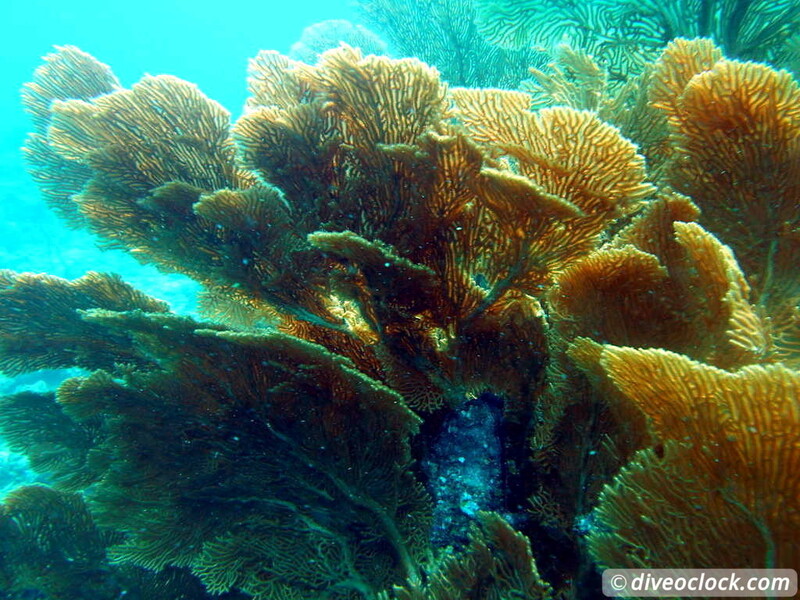 Especially the soft corals and Gorgonian fans are stunning. 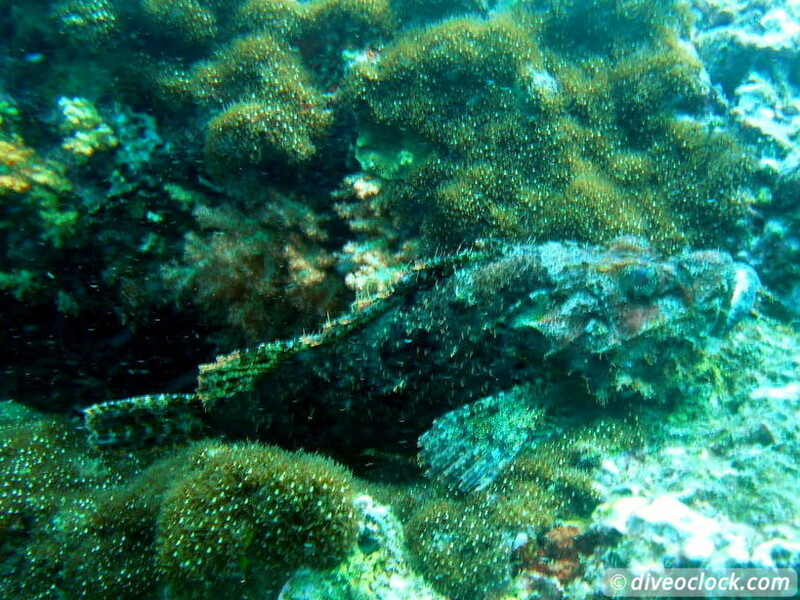 Some huge Porcupine Puffers were swimming (more like floating) around while Scorpionfish were 'stuck' on the wall. 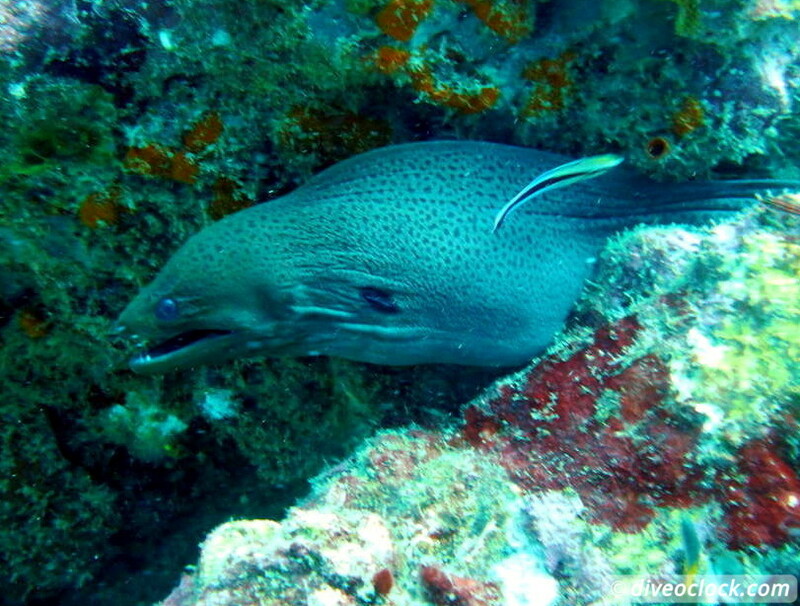 Our last dive was at Palong Wall, North-West of Phi Phi Leh. 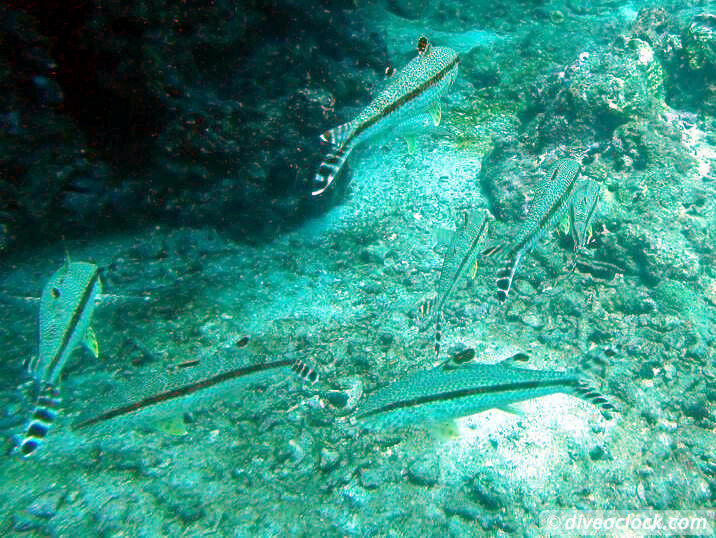 On this dive we were lucky to see many black tip reef sharks! 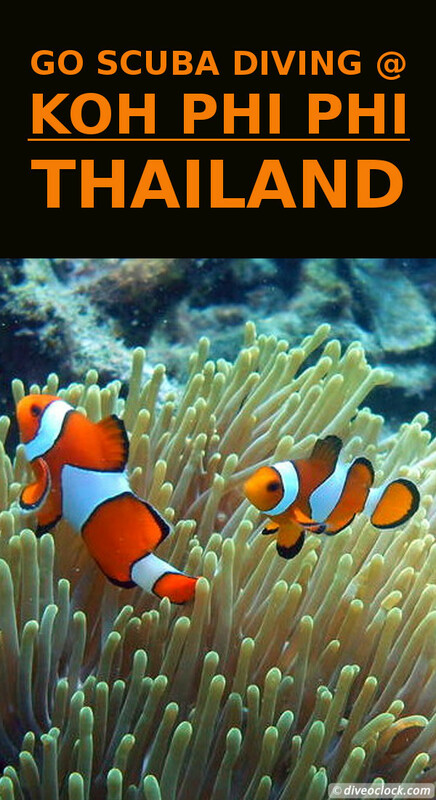 The trip is a full day trip, from 8 AM until about 7 PM, with a two and a half hour speed- boatride to Phi Phi. The dive time is limited to 60 minutes, which is quite unique I guess for 3 dives at a large distance, awesome! 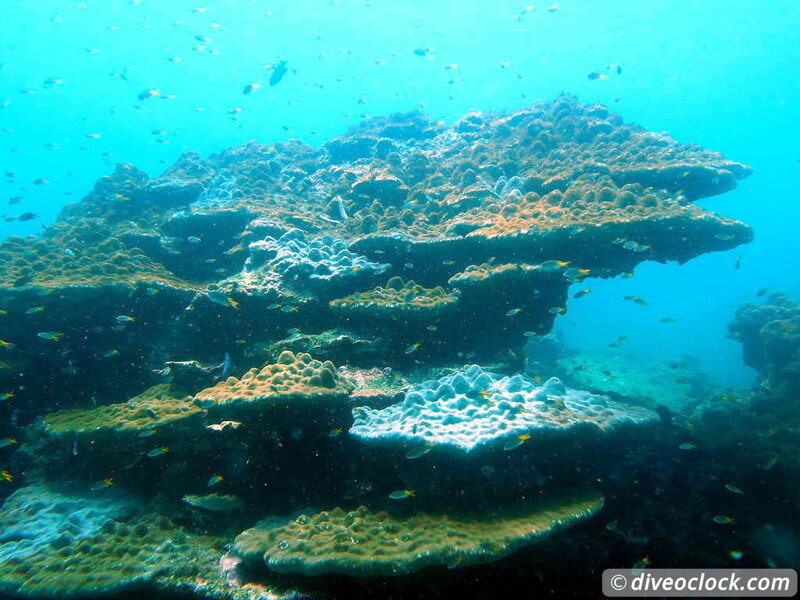 All was perfectly managed by Michael from Paradise Divers / Sea Bees Divers Nai Yang. The boat was really comfortable, dive briefings and safety standard perfectly organized and even beers for our return trip! 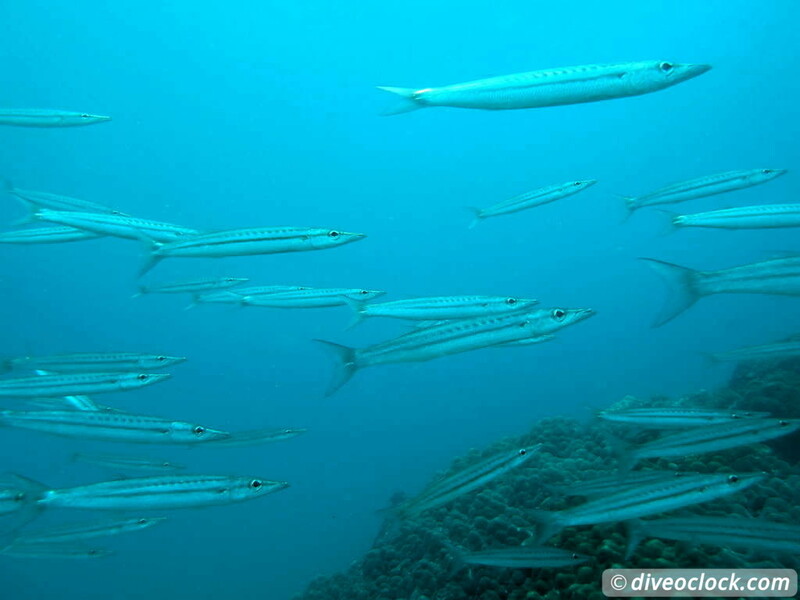 For the Sea Bees dive center on Koh Phi Phi itself you can visit the general website of Sea Bees Diving. Travel information about staying on Koh Phi Phi you can read here. Paradise Divers / Sea Bees dive boat at Koh Phi Phi. 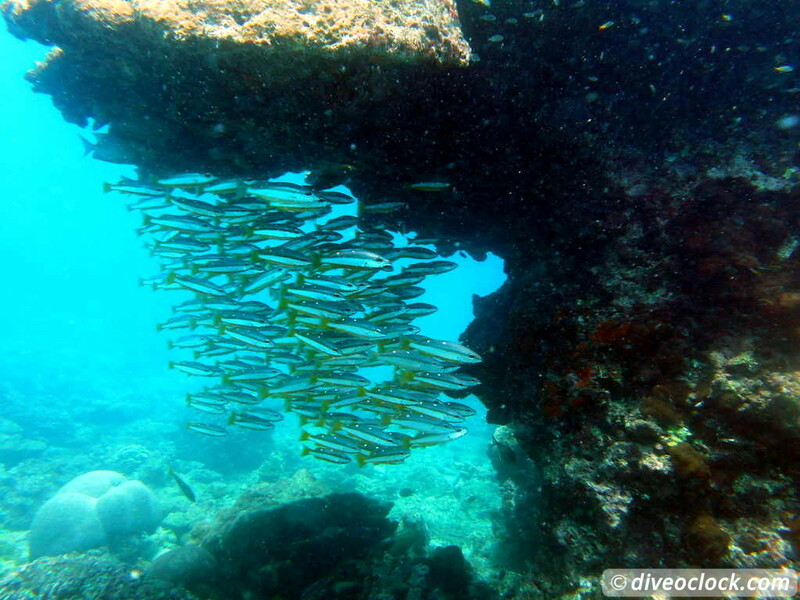 Sail Rock (Koh Tao) - The Best Dive Spot in the Gulf of Thailand!